LifeAfter is not only a common survival game. It has many advanced features that make it completely different from other survival games. It is a combination of survival, sandbox, zombie-shooting, PvP battles, hunting, and fishing aspects. We’ve already shared a bunch of guides on this game. In today’s post, you will learn some intermediate things that you need to know; raiding someone else manor, fishing, maps, events, and loads of things. Let’s get started: LifeAfter Intermediate guide! Use the quick navigation links to directly visit that content. The price of these items is between 10-1000(gold bars). Climbing Rope – Using this item, you can climb up over the broken roof – like a ninja. To use it, tap the bag -> tap climbing rope -> gear -aim to the valid point. In private camp’s town hall, near the helicopter(enter/exit point), there is an NPC named Jude who sells these items. You can purchase these items from her. You can even sell the same items to her and get the gold bars back. ⇒In your camp’s town hall -> visit the enter/exit point -> helicopter -> open -> war zone -> turbulent city -> proceed. Before you proceed, you must buy the items listed above. ⇒You will land on an unknown camp’s island. Open the mini-map -> check the manor locations and visit any manor. ⇒To enter the manor, go close to the manor gate -> tap the decode option. Then tap start to explore the option to check the defense and good value. If it’s good, tap the decode option and enter the manor. ⇒Use your gun or any melee weapon to break the manor’s door. After that, go inside and break the cabinets, closet, and all other storage stuff. When you break a cabinet, you get a bag. Aim to the bag and search for the items. You get a small number of items when you rob someone. To unlock the mailbox or vault(someone else), you need to enter the code. Use your finger to slide-up down the numbers. It will get unlocked once you enter the correct numbers. The numbers that you enter will be displayed in colors. Green – correct. Red – wrong. Yellow – it means these numbers are correct, but their position is incorrect. If you are lucky, you may unlock it. You have a certain number of attempts only. After that, you will not be able to decode it again. If you know any other way or any cheat to unlock it, please mention in the comment section below. I have wasted thousands of gold bars, never succeeded. 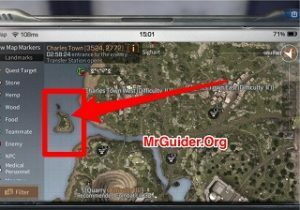 So this is the LifeAfter raiding guide for intermediate players. Is the robbing feature good or not? Share your own view in the comment section below. Free – the daily quota. Paid – Use the gold bars to transfer items to the mailbox through helicopter mailing service. These are the secondary resources and the drop rate is quite low. For example; There are very rare chances of getting castor seed when you gather hemp crops. The drop rate of these items is quite low. You must upgrade the corresponding gathering ability to increase the drop rate. For example; upgrade the flax leaf & flax petal skill in gathering ability menu to increase the chances of getting these secondary resources. Also, use the fire AXE or assembled pickaxe. In LifeAfter, Farstar City offers the same resources that can be obtained from the fall forest. Because of shipping limit, you will have to visit here and gather the resources. But there is a combat limit in Farstar City; you can switch between the peace mode or PvP mode. In the PvP mode, the name is shown in red color. If you are in peace mode, your name will be shown in the white color. If you attack the white name players, your name will be added to the wanted list. To ship the items from farstar city to manor, you need to find the shipping drone. Open the mini-map -> if the helicopter point is grey, it means the shipping drone has not arrived yet. If it’s green, go there and ship the resources. At the top of the mini-map, you can check the in-game time. You can not visit farstar city from 2:00-8:00 time. The resources that you get from Charles town are similar to the loot that you get in the sandcastle. (Resin, Wood Core, Hemp Stem, Hemp Bast, Castor Seed, Tin Ore, Sulfur, Alloy Drill Bit, Claw, Beast Tendon). You visit Charles town through the transfer station. There is a house too. You can build it using the resources. Members in the camp donate the resources. To shop the resources, you need to find shipping drone(open mini-map) -> go there -> pick the drone -> charge it. Once done, you can use it to ship the resources. The Fishing in LifeAfter starts when you accept the caravan quest. In this quest, you visit Vast(In fall forest) and he gives you some fishing bait and a fishing rod. After that, you can craft fishing tools or bait. Tap the make option -> tools -> here you can check the fishing rods and fishing baits list. How To Upgrade Fishing Level? Catch fish and you get the fishing mastery points. In the profile menu, you can check the fishing skill level and the amount of EXP required to reach the next level(Tap the home icon at the upper-left corner -> profile -> here you can check the fishing skill info). There is a wide range of fish featured in LifeAfter game. Some fish are rare and you need a better rod to catch it. All-above mentioned fish can be obtained in freshwater(All rivers in fall forest, sandcastle, farstar city). Note – You can catch shrimp and crabs in all the rivers. You need iron fiberglass fishing road to catch lobster. All above-mentioned fish can be obtained in saltwater. In Charlestown, on the left side, there is an island. Visit there. That’s the saltwater place. In LifeAfter, there are many NPCs with whom you can interact and send gifts. Sometimes, they gift you items, the in-game currency. If you send gifts to the NPCs and reach a certain acquaintance level, they will give you a gift. 11.) 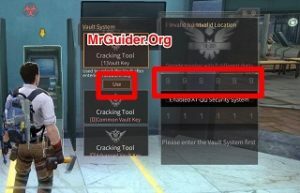 LifeAfer Intermediate Guide – Weapons and Armors List and How To Unlock Them? 12.) LifeAfter Intermediate Guide – How To Get Formula Shards? Formula Shads are required to research new blueprints or items. Using the R&D Facility(Formula Research), you can fuse the shards and get new items; weapons, armors, items, defense facilities, structures, and more. To fuse, you need formula shards. So these are the ways to get Formula Shards in LifeAfter. You need R&D data to modify/upgrade the blueprints/formula. You get R&D data when you fuse shards or when you get the duplicate item by fusing, through the events. Are we cannot go to the water if on raiding ?